Bhubaneswar: Vehicular movement on National Highway-49 in Deogarh district has been disrupted since this morning as farmers have blocked the NH at Balama village in protest against non-procurement of paddy at Mandis by Government agencies. 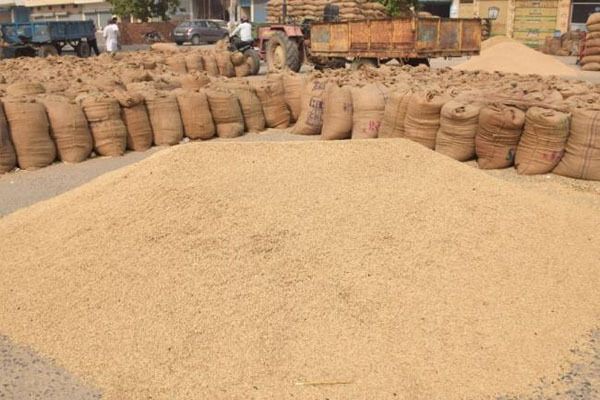 According to reports, villagers have kept sacks of paddy on the road as a mark of protest against paddy procurement irregularities. As a consequence, hundreds of vehicles have stranded on the National Highway. Police have rushed to the spot and are trying to placate the situation.